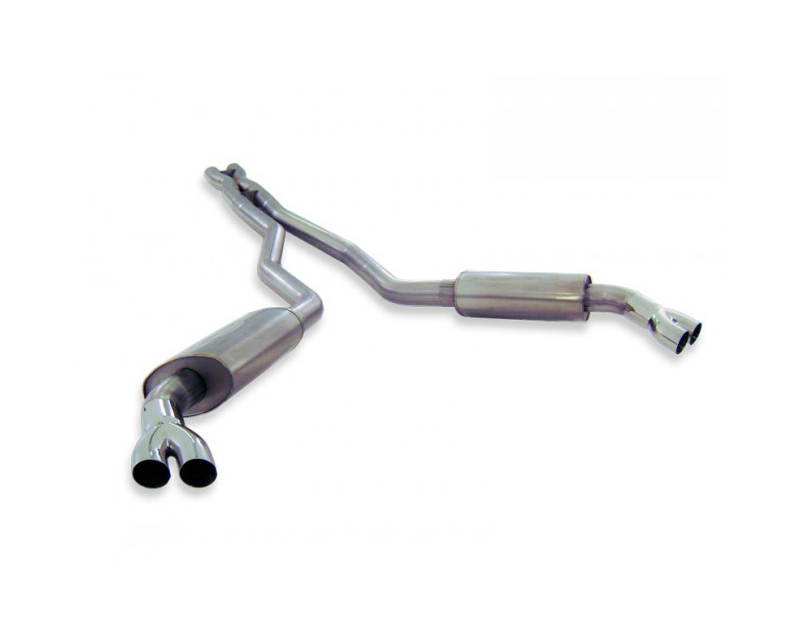 2010-15 Camaro 6.2L 304 SS CNC mandrel bent 3" dual exhaust system with x-pipe, dual chambered turbo mufflers, mirror polished stainless steel tips to fit perfectly inside openings for Factory Ground Effects kit. Includes all hangers and clamps for easy installation. Performance Connect kit to fit SW headers.